29 August – 19 September 2010, The Dance Card, Lido Projects, Suicide, St Leonards-on-Sea curated by Dan Howard-Birt. Suicide is an image from the 'Emotions Electric' series. The photograph is a large scale colour C-type print in a matt black tray frame. The production methods behind the image draws parallels from musical techniques pioneered by late seventies experimental industrial artists focusing on audio manipulation, processing and compression. 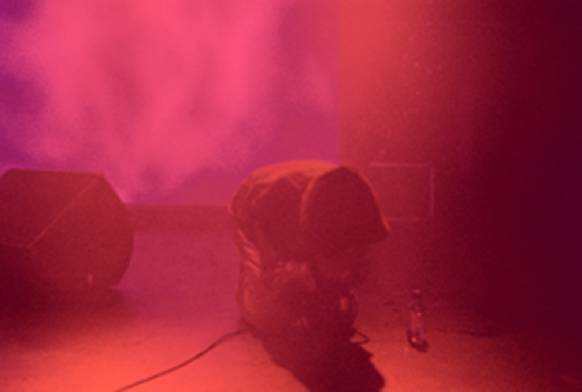 The densely saturated red image is a photograph of Alan Vega, from the proto-punk band Suicide, kneeling on stage during a performance at the Astoria in 2002.